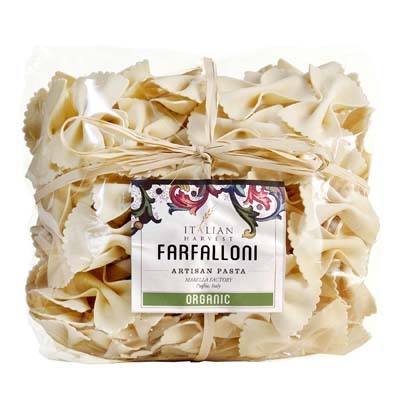 One of the cutest creations of Marella Pasta, only in a much larger size, this Farfalloni Large Handmade Bowties comes in a 1.1lbs bag. Perfect for light or heavy sauces, cream or tomato sauce, pesto or marinara. These can also be great to use with any meat, whether pork, chicken, lamb, or seafood. Or if you’re fonder of vegetables, you can also add those. What’s more? You can use then not only for pasta dishes, but also soups and salads. And you get more of that pasta goodness in every piece! Brilliant, don’t you think? Dying to try them out? Get a bag now!